Plot : + The Jack Benny Program For Grape-Nuts and Grape-Nuts Flakes. December 6, 1942. Red net. Sponsored by: Grape-Nuts Flakes, Grape-Nuts Wheat Meal. Phil and his band have joined the Merchant Marine and are leaving the show. Captain Benny captures a Japanese submarine on the high seas. Don't miss Dennis as "Captain Yamamoto." Jack plans to stay at the Acme Plaza hotel while he's in New York. 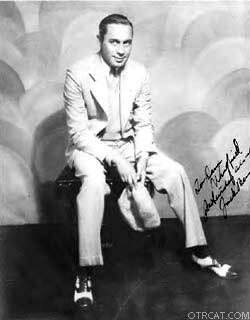 The Jack Benny Program was first broadcast on the Blue Network on 2nd May 1932. 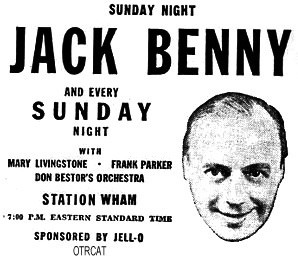 With his capable cast of supporting players Benny made his show into one of great radio comedy shows. What was so special about this golden-age classic is Benny's ability to come across as a likeable guy despite being vain, argumentative, and a skinflint. People related to Benny and his willingness to often give the best comedy lines in the show to his supporting cast made him popular with listeners, guests and colleagues. This is classic comedy that is still funny sixty years later. Be the first to comment on "liberty ship "